The video describes the surgical management of a giant pineal tumor resistant to chemotherapy in an 11-month old infant. The child was diagnosed with pineal tumor and hydrocephalus at the age of 7 months in a foreign institution: ventriculoperitoneal shunt was implanted and microsurgical biopsy was performed through a transcallosal approach. Histology was in favour of immature teratoma. Three cycles of chemotherapy were administered but the tumor continued to grow and the patient was referred to our hospital for surgical treatment. Due to its dimensions (8x5x6 cm), the tumor could not be removed in a single surgical procedure; a staged resection, involving the four surgical procedures described in the video, was therefore planned: 1) Posterior interhemispheric transtentorial approach, very challenging in infants because of the haemorrhagic risks in presence of giant tumors. The techniques and pitfalls of dealing with severe continuous blood loss throughout the internal decompression of the tumor are shown and discussed. 2-3) The re-opening of an anterior interhemispheric transcallosal approach, very challenging as well especially in infants. Dissection and removal of the intraventricular component of the tumor are shown and commented. 4) The removal of the very last tumor nodule, hidden in the postero-superior aspect of the ventricle, through a purely endoscopic approach. The endoscopic procedure, the extensive use of the endoscopic ultrasonic aspirator are very well shown in the video. Histology was in favor of a rare tumor of the pineal retinal anlage (WHO grade IV). The patient was referred to the neuro-oncology department for pursuit of chemotherapy. Dr. Giuseppe Cinalli is Chief of the Department of Pediatric Neurosurgery and of the Department of Neurosciences at the Santobono-Pausilipon Children’s Hospital, where he began working in October 1999. He started the residency program in Neurosurgery at the “Federico II” University in Naples, and completed it at the Department of Pediatric Neurosurgery of the Hôpital Necker Enfants Malades in Paris, France. 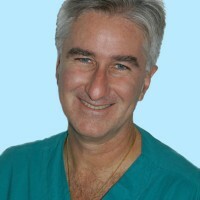 In 1993 he spent a period as a visiting fellow at the Department of Pediatric Neurosurgery of the New York University Medical Center directed by Fred Epstein, and at the Department of Pediatric Neurosurgery of the Primary Children’s Medical Center of Salt Lake City directed by Marion “Jack” Walker. In the same year he began his University career in France as Chef de Clinique-Assistant and later as Praticien Hospitalo-Universitaire. He is an active member of 7 scientific societies, has written 116 indexed papers, edited 4 books, and is a founding member of the International Study Group on Neuro Endoscopy (ISGNE), which later became the International Federation of Neuroendoscopy (IFNE). In 2017 he was elected President of the IFNE for a two-year term. Matteo Sacco is a Resident in Neurosurgery, Division of Neurosurgery, Università degli Studi di Napoli “Federico II”, Naples, Italy. In this video, we present the staged removal of a giant pineal tumor in an infant. I’m am Giuseppe Cinalli, head of the pediatric neurosurgery at Santobono-Pausilipon Children’s Hospital in Naples, Italy. The clinical case is a seven-month-old baby boy with a pineal tumor and hydrocephalus. Emergency VP shunt and one month later, transcallosal approach for biopsy were performed in another county. And the histological diagnosis was a teratoma. Three cycles of chemo in the country of origin, and an MRI showed tumor progression. So he was referred at the age of 11 months for tumor removal.